Romanian legend narrates vivid accounts of a shepherd named ‘Burr’ (joy) after whom Bucharest was named. The shepherd was famous for the wine he sold from the city’s vineyards and the melodious tunes he played on his flute. He created a small settlement which was later named Bucharest. 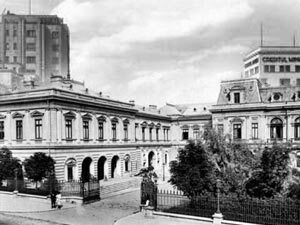 In the early years, Bucharest had French styled buildings and houses which were later remodeled in the 19th century. With good architecture and infrastructure, the city had become a commercial center for trading and development until it was taken over by the communists. Several years down the road the only reminder of the communist regime is the “House of People” now known as the Palace of Parliament. The House was built magnificently with locally produced materials over an area that stands second largest in the world after the Pentagon. Over the years post Independence War (1877), Bucharest underwent many changes in its infrastructure. Electric systems were installed in major buildings; roads like the Podul Mogosoaiei were widened. The first cinema was built along with theaters and art schools. However, the Second World War had a devastating effect on the infrastructure of the city and reformation had to start anew.